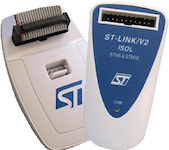 The ST-LINK is an in-circuit debugger and programmer for the STM8 and STM32 microcontroller families. 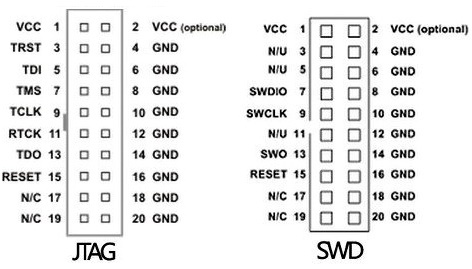 The single wire interface module (SWIM) and JTAG/serial wire debugging (SWD) interfaces are used to communicate with any STM8 or STM32 microcontroller located on an application board. Official reference can be found here. Please install official ST-LINK USB driver.